6.1" x 6.1" stitched on 14 count. 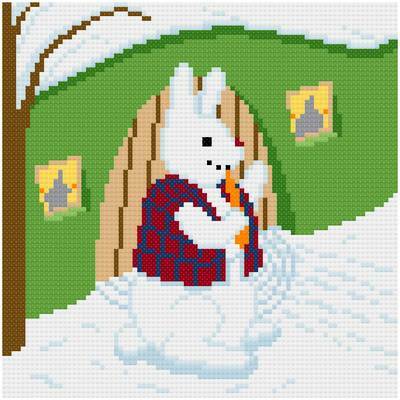 Snow Bunny cross stitch pattern... This is a design of a snow bunny, wearing a brightly colored plaid vest, eating a carrot, and sporting a red nose.